Today’s guest post is by Adam Smith. Do you want to be number one in Google rankings? Whether you feel it would be beneficial for your business or you’re driven by pure vanity, being number one really means something to us. It tells us we’re the best and we’ve earned the recognition we deserve. But, what if being top dog isn’t all it’s cracked up to be? I’m going to share a few stories about how getting to the top of a search engine isn’t going to win you the race. 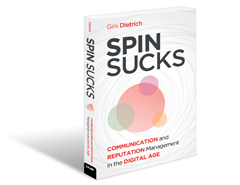 Because Google is just another traffic and revenue stream – and not always a good one. A leading firm of contractor accountants ranked number one in Google UK for “contractor accountants,” which is the big search term in their niche. Google keyword tool estimates search levels at approximately 2,400 per month. Can you guess how many clients they get from this in a year? A handful at best, because it takes a long time (and more than 12 visits) for a contractor to sign an accountant. The conversion funnel is huge as a result. Based on the data I have, their competitors are spending far more money on pursuing that ranking than they would make from being number one for two to three years. I’m sure you’ll agree, that’s a really bad ROI. So what have the number one contractor accountants been doing while their competitors chase after the juicy bone? They’ve been expanding their business in other, more lucrative, directions. 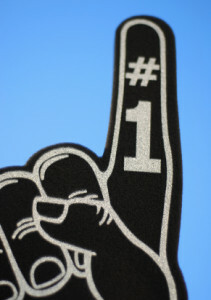 How many potential clients will they lose by not being number one in Google rankings anymore? Perhaps one during the course of a year. So the point I wanted to make is pursuing search terms for vanity’s sake doesn’t make good business sense. And, if you don’t do your research before chasing after a juicy bone, it may taste sour when you finally catch it. 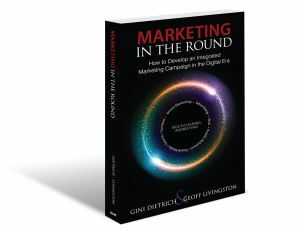 You could argue, in this instance, the cost of ranking first is justified based on the traffic for brand exposure. However, I often wonder if the number of local monthly searches for “contractor accountants” has been influenced by the sheer volume of marketing people typing it into Google every single day. That would certainly explain its poor conversion rate compared to similar search terms in the conversion funnel. But what if your website ranks top for a search term that converts well? Oh wait, you only get 80 visits a month from it. Hmmm… how can we do that better? Well, one IT jobs site isn’t just creating pages for search terms and then trying to get them ranking. Instead they’re taking a holistic approach by creating a hub of content around each of their job categories for both users and search engines. Let’s say you wanted to become a web developer. You would be able to find a page in the content hub for every step of that process: From researching the role and training to writing a CV, attending interviews, and surviving your first month in the job. The user experience is great, because candidates are being provided with all the resources they need for their chosen vocation, including jobs to apply for at the end of the process. Meanwhile search engine traffic would be greater overall because of the number of pages created around “web developer jobs.” Each page ranks naturally for ‘long tail’ search terms and provides an entry point into the content hub/conversion funnel. It may take time to write all of that good quality content, but it’s far more cost effective for getting traffic and conversions than building links to get to the top of Google for a single search term. So do you spend loads on link building to rank first for “web developer jobs,” or do you create a hub of web developer content pages as a conversion funnel? The latter has less risk, less cost, more traffic, and better user engagement. You just need to do some funnel tracking to attribute all of the conversions. We all want to be first in Google for big search terms. We all want those big traffic numbers. But does it convert? And is it worth the cost? Do some analysis and forecasting before committing. If the answer is no, then it’s better to pursue other, more lucrative, business opportunities. Meanwhile, Google has said for years that selling (and buying) links that pass PageRank violates their quality guidelines. They even published a reminder about selling links that pass Page Rank after crushing a number of blog networks last month. It just seems crazy when there’s so much at risk from link building right now for businesses to pursue the top search terms, especially when they may only generate traffic and not conversions. So let’s use our analytics to get more of the traffic that converts well, and put it into some kind of conversion funnel to drive traffic towards your goals and pour your social followers and direct traffic through that funnel too. Meanwhile, our competitors can wage a war of attrition with their wallets over the number one spot in Google for a high traffic search term that may not even convert well. SEO, copywriter, and internet marketeer, Adam Smith lives a life of swashbuckling adventure in the digital spaces and now works in house for Technojobs in the UK as an online marketing manager. Track him down on Twitter and Google+. 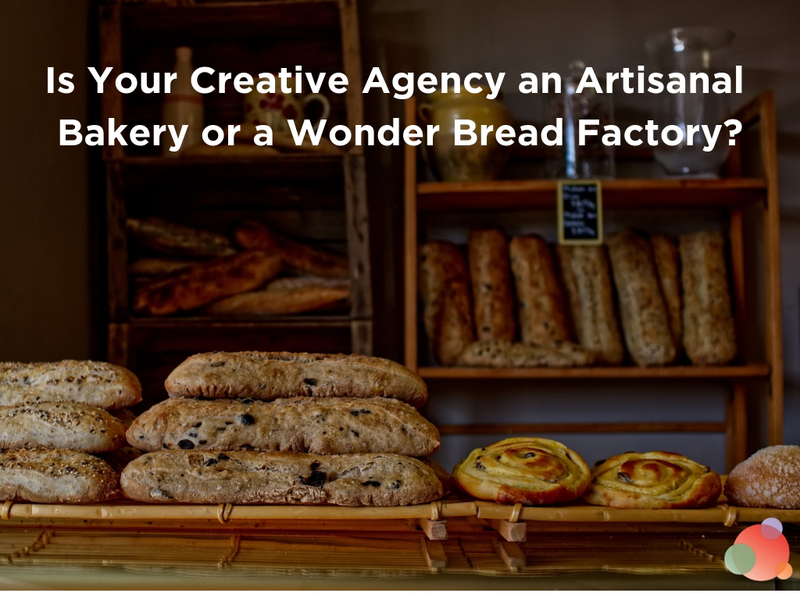 Is Your Creative Agency an Artisanal Bakery or a Wonder Bread Factory?